Mesh-Suite: Software Driven MeshTM Networking. Source code for Industrial Mesh Networks and Industrial Internet OEMs. "Leaky" pipes are endemic to all forms of wireless communication. Pipe "insulation" is affected by RF interference and involuntary bandwidth sharing. Yet, this pipe is expected to provide equivalent wired performance. Seminal work in Oct 2002 depicted how "hop" and "toll" costs - at each node - changes network tree topology to meet diverse application needs. Improvements for real time streams are taught in Managing latency and jitter (2005). Self Forming VOIP (2009) and Mobile and temporal networks (2010) address mobility extensions. Collaborative scheduling (2012) reduces "collision" in real time. 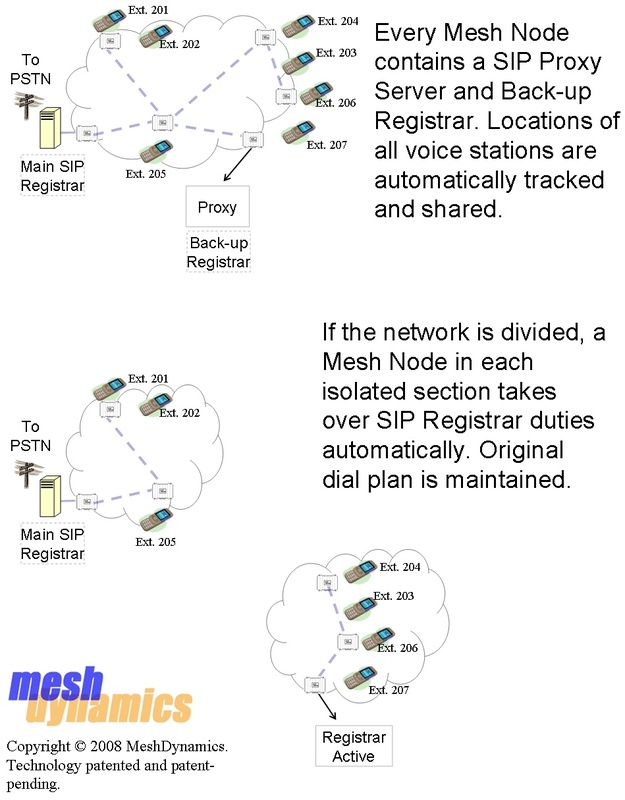 Chirp Networks (2012) and Terse Messaging (2014) focus on time sensitive messaging for industrial mesh networks. Evolutionary networks (2018) extends P3M for rapid tree topology reversals. Unpublished work includes military level security, re-configurable mesh nodes for disruption tolerance and mitigating single radio limitations first described as "Ugly Truths" in 2004.